Do you require a scuba diving medical? If you suffer with asthma, diabetes or any other medical condition you may be asking yourself does it prevent you from diving? We offer a very standard scuba diving medical form that you can complete as part of every PADI scuba diving course or PADI scuba diving experience. From your answers we will be able to establish to a degree whether you can dive or not. Our dedicated team at 2DiVE4 will be able to offer you further advice as you may well need a completed form from your doctor if you suffer from any illness that could hinder your diving experience. For further professional medical advice about a scuba diving medical you can also contact the London Diving Chamber on 020 7806 4028. The London Diving Chamber Doctors are able to provide a full range of diving medicals and assessments. The London Diving Chamber Doctors are also Appointed Medical Examiners of Divers under the Diving At Work Regulations 1997. If you are participating in a PADI Divemaster Course or are teaching on any scuba diving courses in the UK then you will need an HSE medical. This can be booked via the two phone numbers below. 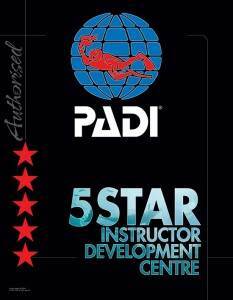 This is and HSE standard for any PADI Divemasters or PADI Instructors. If you require further clarification regarding this then please call 2DiVE4 on 01279 815559 where a member of the 2DiVE4 team will be happy to assist you.